The theme of World Youth Day 2017 was taken from Our Lady’s song of praise, the Magnificat, ‘The Mighty One has done great things for me’. 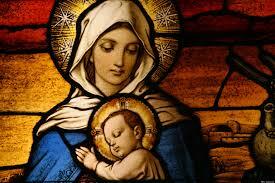 The Pope has chosen to focus on Mary for the next year. 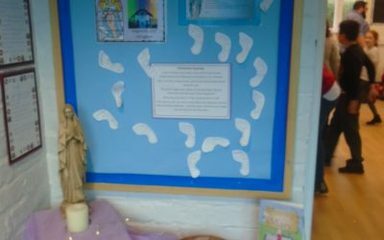 Francis has asked young people to journey with Mary, describing her as ‘a role model to be imitated’. The children will be given the opportunity to visit a prayer space reflecting each virtue every month. 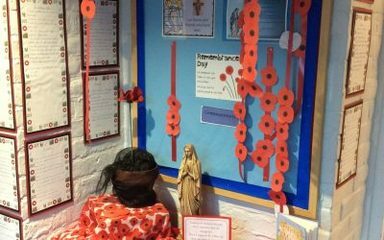 The children’s thoughts, prayers and reflections will be added to a display in the hall. 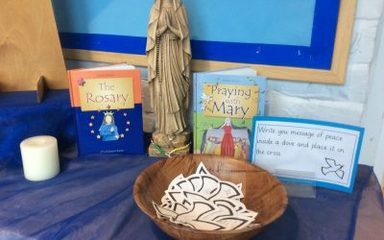 In October the children were asked to say the Rosary. 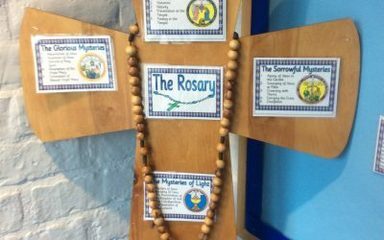 The children were provided with Rosary beads and instructions on how to say the Rosary. 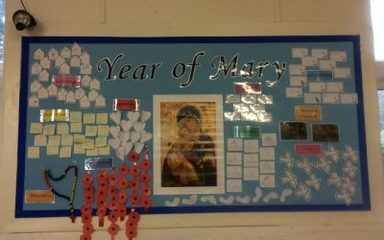 The children could reflect on Mary's life celebrating the happy times and consoling for the sad times. In September we were asked to pray for peace. The children were able to write their messages of peace onto a dove and say a quiet prayer. 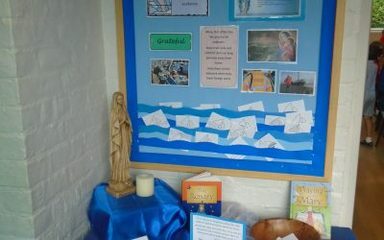 In July we were asked to prayer for those people who work at sea. We asked our Lady, Star of the Sea, to be with all those who are far away from home to comfort them on their travels and to guide them to her son, Jesus.